Innova “squash championship.” In a bid to keep fit and have some fun staff at Innova competed in the inaugural squash championship. 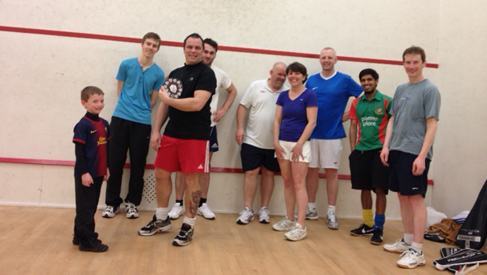 A total of five hours of squash was played with a mixture of fitness, skill, age and beauty. The deserved 2013 winner was Mr Dan Collins – Innova Workshop Manager.